On August 31, 1913, English physicist and radio astronomer Sir Bernard Lovell was born. He was a pioneer in radar and radio telescopes and especially renowned for creating the Jodrell Bank radio telescope, the only antenna that could track rockets in space in the early years of the space race between the United States and the Soviet Union. Born at Oldland Common, Bristol in 1913, as the son of Gilbert and Emily Laura Lovell, Bernard Lovell’s childhood hobbies and interests included cricket and music – mainly the piano. He attended Kingswood Grammar School, now King’s Oak Academy, before he studied physics at the University of Bristol, where he obtained a bachelor of science degree in 1934, and a PhD in 1936 on the electrical conductivity of thin films. At this time he also received lessons from Raymond Jones, a teacher at Bath Technical School and later organist at Bath Abbey. The church organ was one of the main loves of his life, apart from science and cricket. After a year as an assistant lecturer in physics at the University of Manchester, he became a member of the cosmic-ray research team at that institution, working in this capacity until the outbreak of World War II in 1939. During World War II Lovell worked for the Air Ministry, doing valuable research in the use of radar for detection and navigation purposes for which he was named an Officer of the Order of the British Empire (OBE) in 1946. 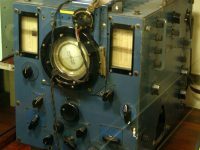 Returning to the University of Manchester in 1945 as a lecturer in physics, Lovell acquired a surplus army radar set for use in his research on cosmic rays. 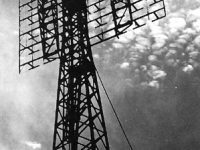 Because interference from the surrounding city hampered his efforts, he moved the equipment, which included a searchlight base, to Jodrell Bank, an open field located about 30km south of Manchester near Goostrey in Cheshire. Shortly thereafter authorities at the university agreed to provide him with a permanent establishment at the site, which already belonged to the university’s botany department, and to sponsor the construction of his first radio telescope, for which he used the searchlight base as a mounting. 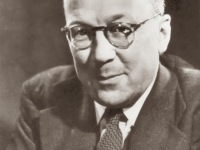 In the course of his experiments, he was able to show that radar echoes could be obtained from daytime meteor showers as they entered the Earth’s atmosphere and ionised the surrounding air. With University funding, he constructed the then-largest steerable radio telescope in the world, which now bears his name – the Lovell Telescope. Completed in 1957, the telescope – known initially as Mark 1 and renamed the Lovell Telescope on its 30th anniversary – dominates the surrounding countryside and continues to make huge contributions to the science of astronomy. The Mark 1 telescope was the only instrument that could both detect the first Soviet and American satellites and transmit instructions to them. Oddly enough as it now seems, the need for such a telescope had escaped both the telecommunications industry and the military leaders of both superpowers.